I love the way some of these designs have combined other colors with Marsala. In particular, I like the pinks and golds and blues in the Dottie Pullover but, oh!, that Ritalin Cowl!!! I just want to go buy that yarn and start knitting it right away!!! I love that gold tone with the Marsala hues. The yarn is Fibre Company Acadia in Blackberry, Wild Onion, Amber (which Seems to be discontinued) and Kelp. And Water for the elephants has a coordinating color with a cream/pale-gold tint to it as well. 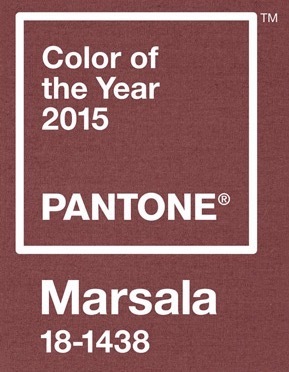 Have you thought about knitting with a Marsala hue this year? What colors do you think would complement or accent Marsala? Share here!